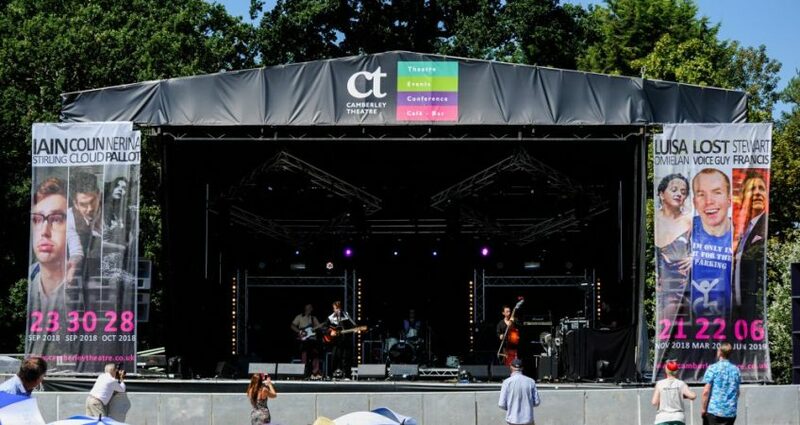 Frimley Lodge Live 2018, a music festival based in Surrey Heath, returned for its fifth year this August. The family friendly music festival was a huge success and Sunbaba was delighted to provide stage branding for the event. Sunbaba was asked by long-standing client Star Events, who supplied the event’s stage, to produce a stage header and side scrims. The company selected a Frontlit PVC for the stage header which measured 14.63m x 1.6m and its Digisound material for the side scrims which measured 2.44m x 5.36m. Once underway, the festival played host to some impressive tribute acts including Oas-is, Blurd and The Chili Fighters.